It was not so long ago that genre pictures were the B–Z grade movies that Hollywood either ignored or supported with budgets that were mediocre at best. Drama was the prestige format of the day, so genre pictures were, more often than not, low budget independent productions. Now that the tables have turned and Sci-Fi and Fantasy films are big business, it would seem time for genre fans to rejoice. Unfortunately, that is only partially the case. For every Lord of the Rings or Pacific Rim, we seem to get innumerable films suffering from what I think of as budget bloat. Films so bombastic and effects laden, that they forget to breathe and give us anything human to latch onto. When genre pictures were made on modest budgets, their producers were forced to be more creative to work around limitations. This resulted in a feeling of excitement, a feeling that anything could happen, and unusual things often did. In contrast, higher budgets come laden with a higher responsibility for profit, so risky ideas fall by the wayside, and we are stuck with the current crop of remakes and bloated extravaganzas. While it may not be possible to return to the times that brought us the original versions of Halloween, Evil Dead, and Dawn of the Dead, it is still possible to support new independent productions by both experienced and new creators. Services like Kickstarter and Indiegogo are making this extremely easy. In the mid 1980s, a group of film makers grabbed my attention with a lurid, humorous take on the works of H. P. Lovecraft. Re-Animator, and it’s follow up From Beyond, were eye-pokingly original and, quite simply, gleeful, gory fun. Three of the main instigators of this jovial assault, director Stuart Gordon, writer Dennis Paoli, and actor Jeffrey Combs, are working to finance their new Edgar Allan Poe biopic, Nevermore with a Kickstarter campaign. While the film in question is different in tone than the aforementioned Lovecraft pictures, I am confident that it will live up to the independent spirit that informed them. For a preview of this team’s very faithful take on Poe, I would encourage you to seek out the “Master’s of Horror” episode The Black Cat. Mr. Gordon is asking for a very modest budget, but he has proved, time and time again, that he can deliver real thrills and ghoulish laughter, for much less than you would expect. It should also be noted that Mr. Gordon does some of his best work when he is paired with writer Dennis Paoli. For his part, Jeffrey Combs is one of the best actors in genre cinema. From his many collaborations with Mr. Gordon, to his show-stealing performance in Peter Jackson’s underrated The Frighteners, Mr. Combs has always kept my eyes glued to the screen. These guys are trying to bring something original and fresh to life. 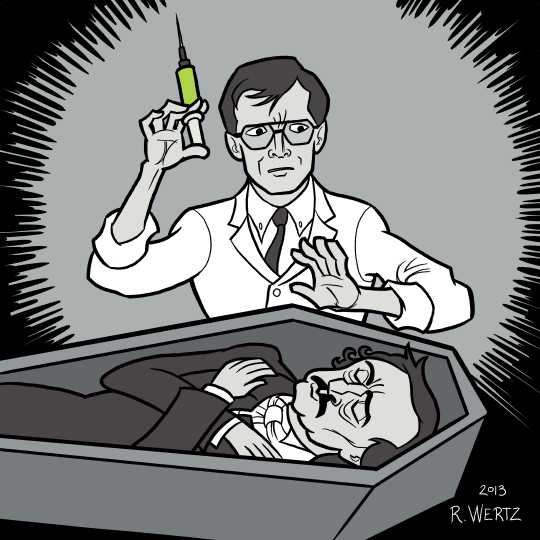 If you are a fan of Edgar Allan Poe, you should seize this opportunity to help reanimate him! All four tracks retain the feel of 1970s and 1980s rock, while still feeling current. You must grab this if you catch one of their shows on this tour! 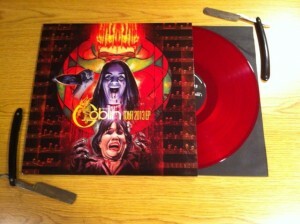 The concert revealed Goblin as the sort of band whose live performances outshine their recordings. Claudio Simonetti’s keyboard sound is unwavering in it’s faithfulness to the original tracks, as is Massimo Morante’s distinctive guitar and bouzouki playing, but the energy of live performance gives the music new dimension and intensity. Maurizio Guarini’s deft playing is essential to the dual keyboard assault of Goblin’s best tracks. The new rhythm section of Bruno Previtali (Bass) and Titta Tani (Drums) provides a rock-solid foundation, and blends in with the band’s signature sound, while giving it just the right hint of modern metal and prog rock. Most importantly, there was very positive energy between the band and the crowd. Everyone was having a great time, and Goblin delivered just about everything I wanted to hear, but still left me wanting more. It’s a shame that it’s taken so long for them to tour the US, but now they are reaping the benefits of the hard work of movie importers, promoters and publishers like Diabolik DVD, Exhumed Films and Blue Underground. Without them, and others like them, Dario Argento’s films would not be nearly as popular as they are today, and Goblin would have a much smaller US fan base. I only had to watch Deep Red once before I became a Goblin fan. That was in the early 1990s and I haven’t stopped listening since. I just got back from SPX. I had a great time antagonizing other cartoonists and shamelessly lifting ideas from their work. The event was huge this year so there were a lot of innocent victims unaware of the unwholesomeness that is MadCurry. 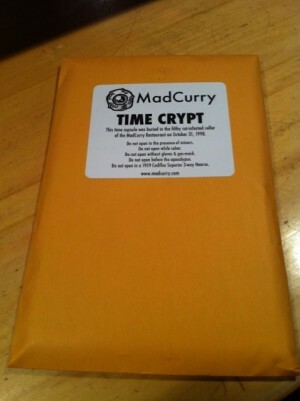 MadCurry polluted the event by way of the Time Crypt, a time capsule stuffed with festering old mini-comics and promotional materials from the 1990s and beyond. Do not open in the presence of minors. Do not open while sober. Do not open without gloves & gas-mask. Do not open before the apocalypse. Do not open in a 1959 Cadillac Superior 3-way Hearse. I will not be held responsible for any ill effects unless these instructions are followed to the letter. If you are visiting this site as a result of the effects of the Time Crypt, Welcome! I hope to bring you more generally unpleasant entertainment in the weeks, months, and possible even years leading up to either your, or my, untimely demise. whichever comes first. In the tradition of tacky marketing gimmicks, we bring you MadCurry Mondays! “What exactly are these MadCurry Mondays”, you ask? 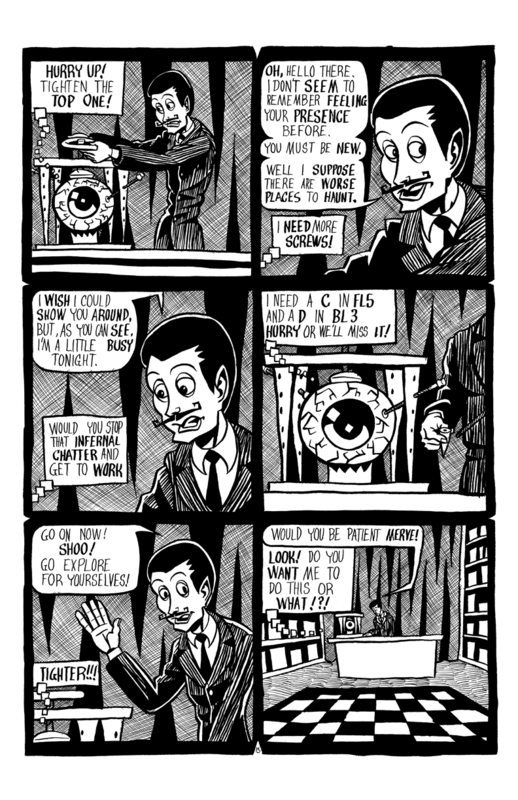 Why, it’s the final solution to your most troubling webcomic reading dilemma! Trying to remember when your favorite webcomics update is taxing on your brain. We are here to help! With the potent ingredient, alliteration, MadCurry Mondays is our remedy! From now on MadCurry will only update on Monday of every week. “But I used to get three helpings of MadCurry every week, how will I cope?”, you might ask. Well, here’s the deal. Sometimes the update will be a full chapter or comic, up to 8 pages in one day! However, some updates will be a total rip-off, with only a cover, an illustration, or a crappy one page comic! Much Like Cracker Jack, the joy is in not knowing what to expect! MadCurry Unaffected By Moving Hiatus! Readers of my current (less vulgar) webcomic, Kitty’s Cats, will be aware that I am in the process of buying and moving into a new home. While this is forcing me to put Kitty’s Cats on hiatus for an anticipated three months, MadCurry will continue it’s updates throughout the move. Since these comics are old, and have already been scanned, I do not anticipate any problems meeting the schedule. As always, thanks, dear reader, for soiling your eyes on these unwholesome entertainments!